A lovely giant chunk of smokey quartz at the Perot Museum in Dallas. Smokey quartz is not one of my favorite crystals, but it can be very pretty in its own way. 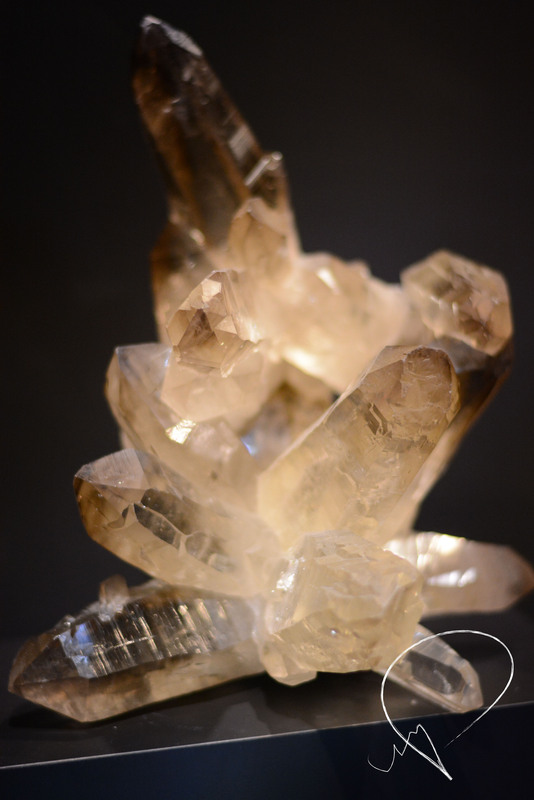 For those of you interested in crystal healing, it may be of interest to know that smokey quartz is helpful in keeping your energies grounded and stabilized. It aids in overcoming negative emotions such as jealousy, fear, anger, and depression.